Add some futuristic spirit to your outfit with Venus necklace set. 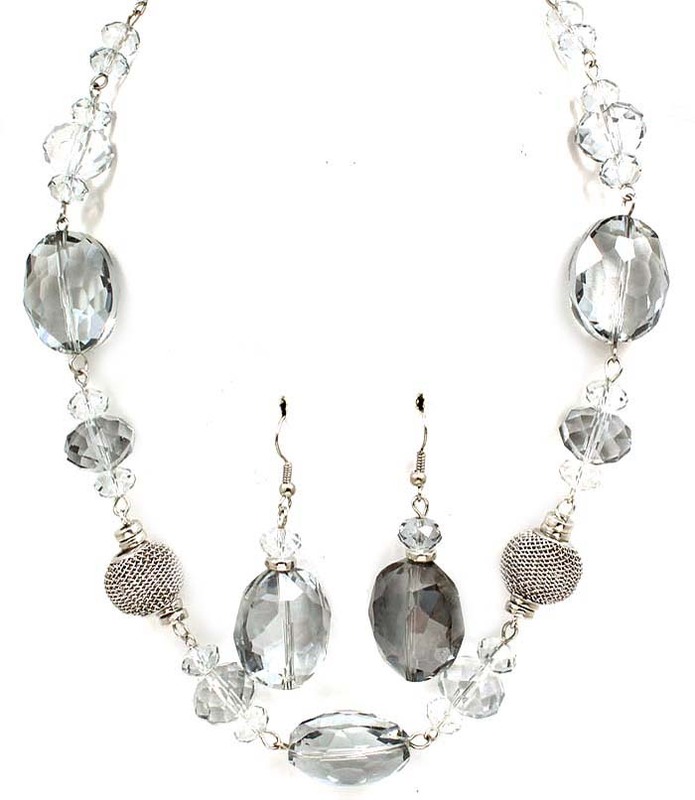 The necklace features clear crystals of different shape and two mesh balls at both sides. The earrings have a large pending faceted clear crystal. If it's affordable jewellery online you are looking for you've found it!